Princess Cinderella, Rapunzel and Elsa decided to try on wedding dresses. 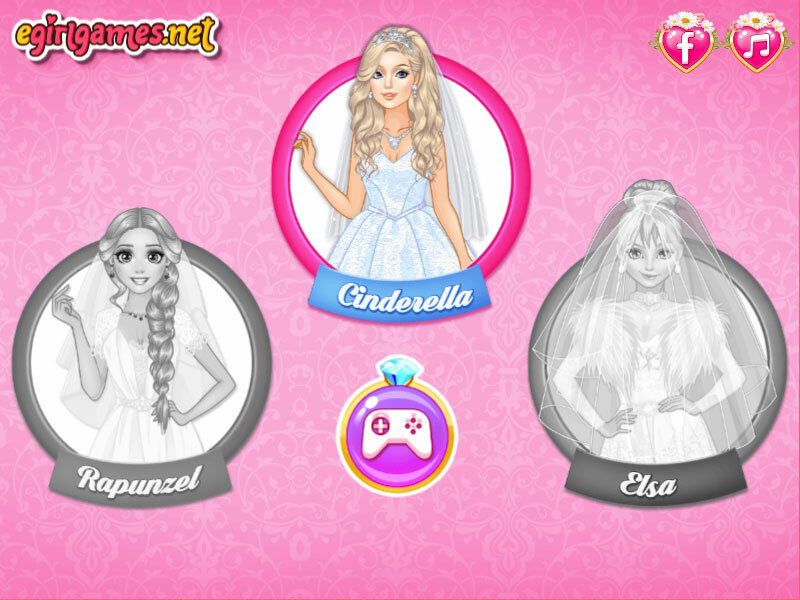 That's why we have a great dress up game called "Wedding Style Cinderella vs Rapunzel vs Elsa". As the name implies, we are offered to try on wedding dresses for these three beauties. You can choose each in turn, and then do their makeup and of course the choice of dress. When all three brides are ready, you can compare them all together and determine which bride is more beautiful. Played: 3924. Added: 14-11-2018, 00:50. 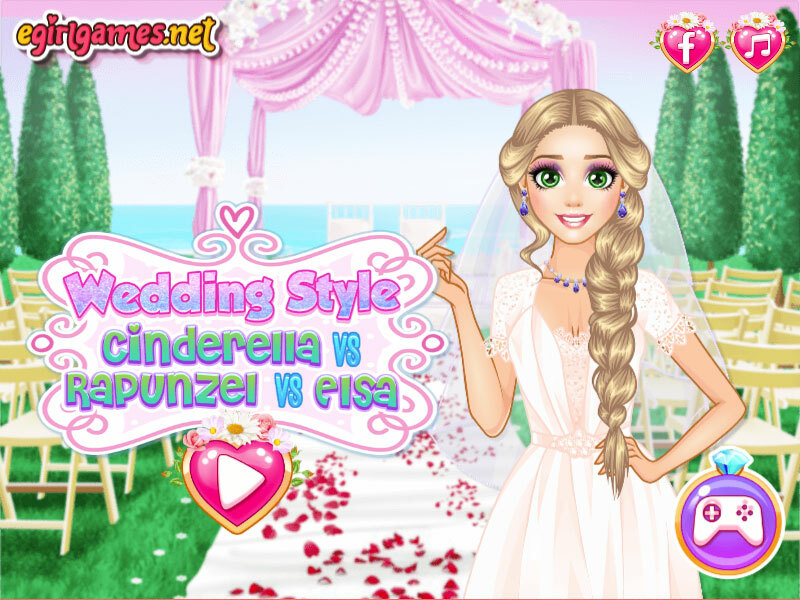 Wedding style dress up game. Choose a new dress for Cinderella.